Wow. It’s been a downhill race since this May. To finish off the semester, I wrote three (5, 20, 20+ page) papers. Then I went to London (yay!) and did research, went to Spain and walked 300 kilometers (~200 miles) of the Camino de Santiago, from Leon to Santiago and finally spent a couple of days in Lisbon seeing the city and just relaxing. I got back to the US just in time to spend a week in New Haven with Rare Book School, and then to go to a conference in Minneapolis. Phew. The rest of the summer will be fairly sedentary compared to that: living in NYC and visiting CT, back and forth, while working on my department’s website and working on learning German, and trying to make time to edit a paper. 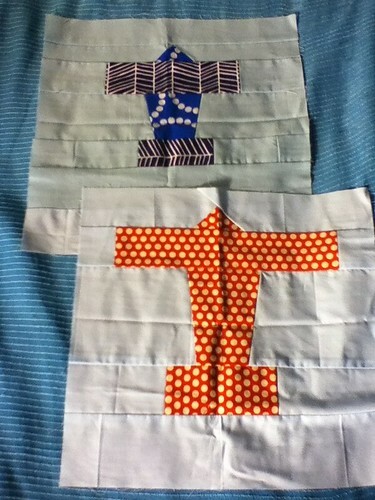 And making time to sew, because, man, have I missed my sewing machine. 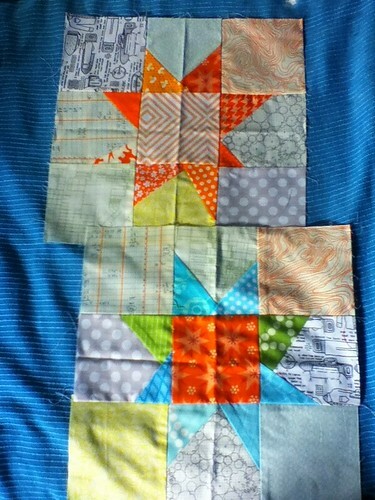 Here are *cough* May’s blocks: little airplanes!